Reagan had a follow up with her EPI-743 study doctor Wed in Houston. Mike took off and we drove there and back the same day (as we always do). It certainly makes for a long day. We left at 8am and didn't get back til 7:30pm! We were so lucky that Reagan was in a good mood and handled everything like a pro. We had a long wait for the dr and then two missed sticks for her blood draw (and left without the EKG), it was kind of a pointless appointment. The only thing that we really took away from this appointment was how extremely serious her hemoglobin incident was. Her doctor said the level she had gotten down to was barely compatible with life. So SO scary. He was also pretty adamant that they need to figure out what caused it. Hopefully they do, but for now everyone is still scratching their heads. 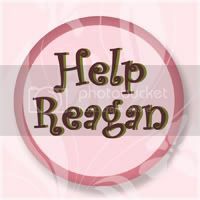 Today Reagan had her iron infusion. We were hoping to get the missed labs from the other day drawn, but no surprise, they had a hard time finding a vein and once they did, they were afraid to draw from it and blow it. So no labs...again. They were able to do a quick CBC and her hemoglobin levels had gone up to 10.3 (and that was even without the supplemental iron). I asked if she still needed the infusion today, but they were insistent that she needs to build up her reserves and it was necessary. The iron infusion itself went smoothly. They watched her for a while afterward to make sure that she didn't have an allergic reaction, but she was fine. We'll go back in two weeks from now for a second infusion. Hopefully her numbers look good. Thank you for keeping her in your prayers. 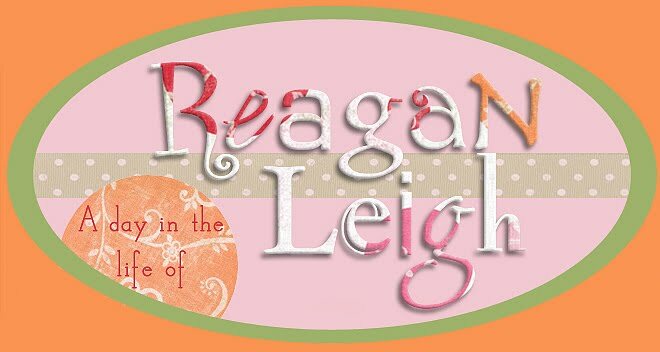 Reagan had a follow up appt yesterday with hematology. First she had horseback riding and then her drs visit. She was a bit sleepy today but perked up just long enough for her riding lesson and then she slept through her entire drs appt (even the blood draw). She had a sleepy day yesterday and it looks like she's still a little groggy today. We spoke with the doctor first and she didn't have much new information. Everyone is still scratching their heads as to what could've caused this major anemia in our girl (she threw out the idea of parvo, the human form, fifths disease, can cause severe anemia and might explain that mystery fever she had a week ago). But who knows. Ugh. A year ago her hematocrit level was 14; when we went into the hospital a few weeks ago, it was down to 3.5. That's a HUGE drop. When we left the hospital, after 3 transfusions, it had gone up to 7.6. After a week at home on iron it had gone up to 8.5. Two weeks later on iron it has only gone up to 9.3. Normal for kids is 11-14. The doctor was not happy that it hasn't gone up more in that amount of time. So now we try iv iron infusions. The good thing is it doesn't go through her gi system so it will solve any absorption problems she might be having. The bad thing is that it's iv. It will have to filter through her liver and she already has so many meds doing a number on her liver, it's not ideal, but we really have no other choice at this point. Please keep her in your prayers. We go in for her first infusion next Friday 7/27. I'm hoping and praying everything goes smoothly. For her veins (she's not an easy stick) and her liver! She had a great day today, she was super sweet and happy so we finally got her back in the pool! Love this girl!